Here comes the long awaited new compilation from Spontaneous Aerobics. It contains 10 tracks, from artists around the globe, carefully chosen and tested on many dancefloors on the planet. Part 1 of this conceptional abstract story starts smooth with famous Module Virus from England, goes on with a freaky abstract track of Act One and continue with pumping stunning new collaboration between Nocturnal Project and Warp Engine... Than it's time for the real abstract night sports, with Synthetik Chaos, who bring us a real funny nighttime hymm, which perfectly fit into the sportive and funny concept, Spontaneous Aerobics is famous for... Go and take the Touchdown.... Followed by Canadas finest Noj Nor who is tripping into the deep and groovy night. Ra Root is not a secret anymore, and will take you deep into the night. Followed by another stunning collaboration between Psy Mr. and Caveman, who will raise the bpm a bit. After this sportive track Germany's Mandari will show you his perception of Abstraction, before Openmind will tell you his experience with aliens... The CD closes with famous Blisargon Demogorgon who set a little statement of his opinion about this strange times we are currently living in. 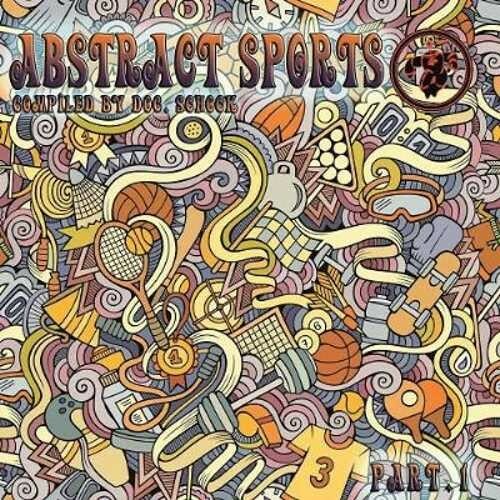 Abstract Sports is not just the title of this compilation - it is a statement and a save weapon for your workouts on the danefloor.... Ladies and Gentleman.... - Get your sportdresses out.... they did it again..... Time for some Abstract Sports !! !